Why are we (Americans) always vying for first place? And, when that place is taken we deliver concessions for the runner ups, as if their efforts were in vain or shameful at best. What is really the first or best city? Wouldn’t every citizen of any city say their place of origin is the best? And, why do we care what anyone else thinks about our place of residence? There will always be someone who absolutely loves their city and the opposition of that opinion. Who is the judge? Who declares the best of the best…??? Well, some smarty pants officially declared the WINDY CITY – CHICAGO, the ‘Second City’ to New York and I don’t agree with him. Chicago is full of people from places around the world, with the authenticity of its people’s origin, via the food, architecture, culture and community. If you go to one of its many ‘towns’ – China…Greek…Jew…to name a few, you will feel like you’ve been parachuted in the land itself. I know some of you are thinking, what about the Italian culture, now that is a no-brainer. I think you feel their presence even in the most remote or urban areas that contain the most diverse of influences. The many cultures is just one dimension of this great city. There are seasonal festivals throughout the year that transform the everyday experience into something magical. One of my favorites is the “Taste of Chicago”, which is the original food festival that other cities across the nation have adopted as their own. Now who’s really second….had to say it! The food festival invites its citizens and the world for that matter, to taste the various cuisines that make the city famous. Paired with the food are concerts, played by famous and not-so famous musicians that marry the refreshing summer breeze with hypnotizing sounds of jazz, blues, reggae, R&B, Rock & Roll and country. If you can’t come in the summer to enjoy the food festival (end of June to the 4th of July), or even the Jazz Festival, perhaps you make your way later in the season to enjoy other wonderful delights. And if you’re a cold climate person, the winter wonderland is a site to be seen. The snow filled streets reminiscent of a romantic movie, as the horse drawn carriages gallop along the retail filled roads, the air filled with freshly popped corn (cheese and caramel that is) , while the avenue lights illuminate the night to kiss a reflection on the perfectly layered snowflakes on the tree branches. Something for everyone, this city offers its tourists. From the fast lane city monger, to the laid back countryside dweller who wants to take a peek at the city life or look beyond the city limits for a more relaxed experience. If the Botanical Gardens is too slow, maybe you witness how the marine life get along at the Shedd Aquarium or how it connects with the heavenly bodies at the Planetarium. And if the aquarium doesn’t satisfy your nautical favor, how about the Navy Pier for some versatile fun for the adults and children. Now, the city doesn’t just stop at the well-known crowd pleasers mentioned above, it goes beyond to impress its citizens and visitors alike. If you’re a history or art lover, there is something there for you as well. My favorites are the Art Institute, Museum of Architecture, DuSable Museum, Field Museum, Chicago and Shubert Theater. If you just want to stroll along Michigan Ave. and take in all the sights, don’t forget to stop by Grant Park and toss a coin in Buckingham Fountain, or head to State Street for some famous Garrett’s popcorn, which has made it all the way to Singapore! And I would be doing this post and the city a disservice if I forgot to mention the infamous pizza. There are four majors that include deep dish and thin – Giordano’s, Gino’s, Uno/Duo and Italian Fiesta. Aah Ha! You didn’t know about that last one did you? You have to be in the real neighborhoods to get that one…it is better than Uno/Duo and Gino’s deep dish and Giordano’s thin crust. It is perfectly seasoned and holds the heat of the double layered cheese quite nicely. I haven’t had this pizza in over 5 years and I can still remember the taste and smell (vegan now). Ooh, I think I just gained 3 pounds by merely mentioning it. Whatever your fancy, this is the city that is beyond second place to any major metropolis in the US and rivals our international neighbors as well. 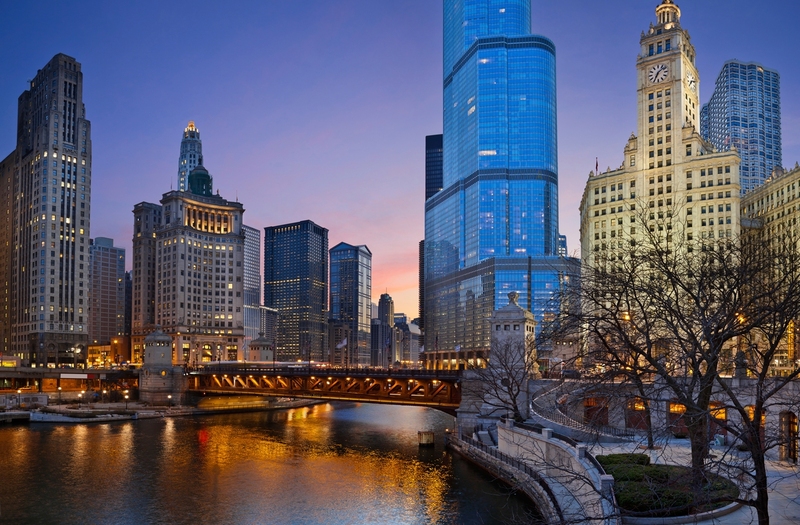 The travel season has begun, so consider one of the major attractions in the US – My Kind of Town CHI-CA-GO…! Enjoy and SAFE TRAVELS!